Working on a DIY project last weekend and I was picking out buttons. 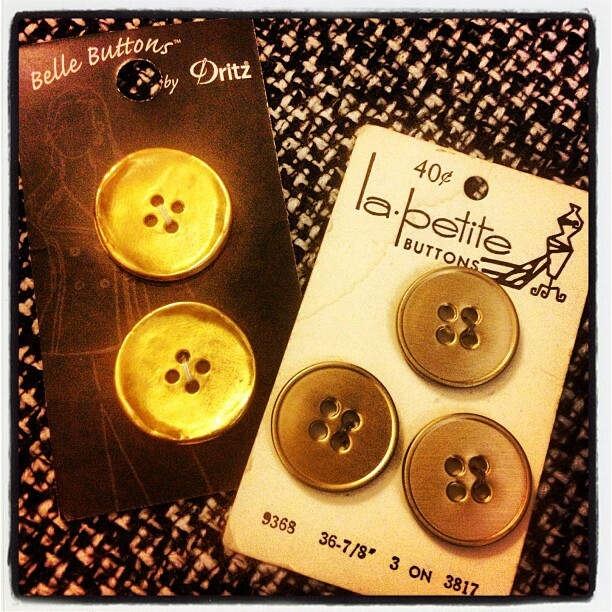 I found these vintage buttons in my sewing box that were almost identical to the ones I had just purchased. The price difference was really amusing to me! I'm not much of a dark chocolate fan, I prefer milk. 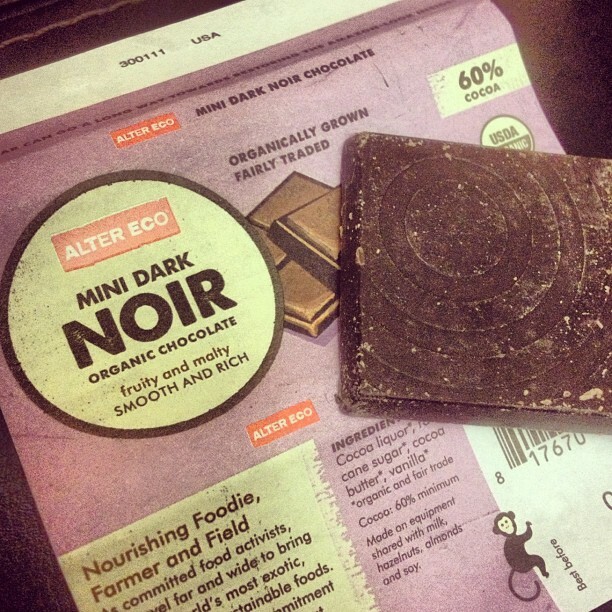 But this bar of chocolate that came in a recent Klout Perk box was insanely good. LOVE. I few of my deliveries from last week: a gorgeous BB Dakota dress from Piperlime, those insanely good Rebecca Minkoff sandals from Poshmark, and some prints from my Instagram feed via Printstagram. 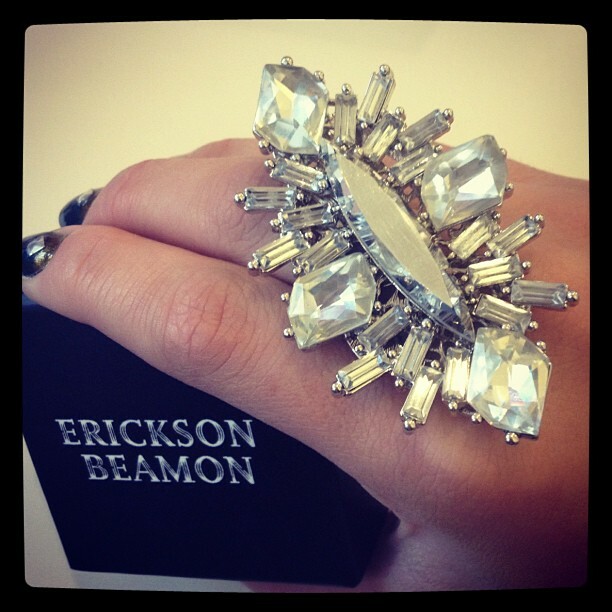 I love this insane, over-the-top Erickson Beamon ring I found on Poshmark. Bling bling! 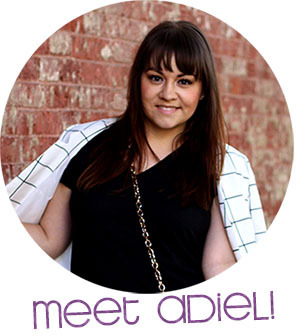 When supporting Maria at her Bebe + Lucky Mag Girls Night Out event, I had a blast trying on outerwear. 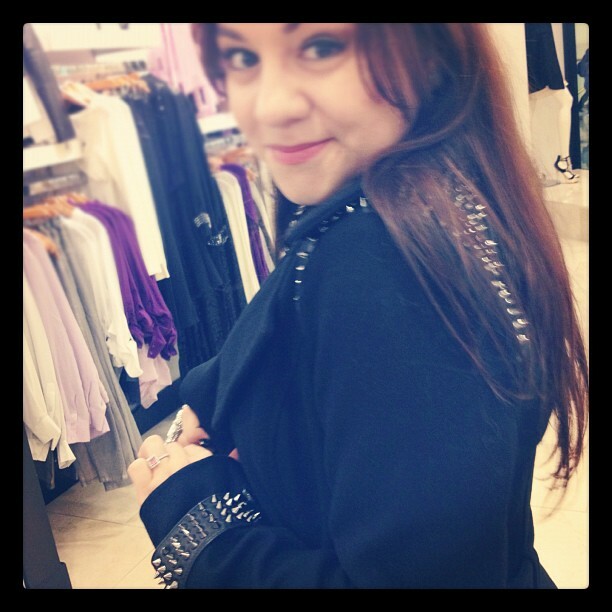 I can't stop thinking about this studded trench that is wayyyyy out of my price range.